The Coalition believes that there can be no peace in Israel until all people are able to access the Temple Mount. The Temple Mount, a large plateau, includes the areas where the two Temples stood and where two Moslem Holy Places: the El-Aksa Mosque and the Dome of the Rock now stand. Regrettably, the Waqf has barred non-Moslems from the Temple Mount and established it as a symbol of Moslem Fundamentalism, spewing hatred of Israel, America, Jews and Christians. The denial of access is part of a basic strategy to de-legitimize Israel and to obscure the historic, fundamental, and intimate connection between the Land of Israel and the Jewish People. The Coalition will alert Israelis, Jews around the world, and others of good will that the Temple Mount, the historic heart of Israel's national and spiritual life, has been hijacked by Moslem extremists symbolizing efforts to destroy Israel. The world community dare not appease these extremists or condone the invidious actions of persons who promote discrimination. Thirty-five years ago, in 1967, the Jewish people returned to their historical, geographical, and spiritual heart: to Har-Habayit, the Temple Mount in the center of Jerusalem. After 1800 years, the Temple Mount was opened to all: Jews, Christians and others as well as Moslems. After the Six Day War, in a spirit of peace and magnanimity, the State of Israel accorded the Moslem Waqf administrative control over the Temple Mount and its holy sites with the responsibility of providing open access to all. The Waqf breached Israel's trust and defied its responsibility. So that now, Christians, Jews and non-Moslems cannot visit the Temple Mount. The Islamic movement, under the leadership of Sheikh Raad Salakh, has established the Temple Mount as the main flagship in its struggle against the Israel, with the pretextual slogan "Al-Aqsa is in danger". To upgrade the Moslem status of the Temple Mount and to create the impression that it equates to Mecca and Medina, the Waqf is building new and illegal Mosques and attempting to obliterate every archeological and historical trace of Judaism at the Mount. The Coalition believes that the Israeli Government will only act to change the intolerable status quo of the Temple Mount with broad support from the people of Israel and others of good will throughout the World, particularly Americans. To gain this support, we will organize media events to inform everyone, especially Americans, that extremists have taken possession of the Temple Mount, excluded Christians, Jews and non-Moslems and are destroying ancient Jewish and Christian artifacts. The Coalition will launch a broad campaign to alert everyone that the Muslim Waqf must immediately cease destroying Jewish and Christian antiquities and discriminating against Christians, Jews and other non-Moslems. Regardless of political persuasion, wanton destruction of ancient artifacts provokes outrage. 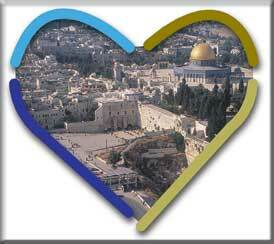 The central slogan of our campaign, Open Access to the Temple Mount Now, will be widely disseminated. The Coalition is enlisting support from decision-makers in the secular and traditional segments of the entire Israeli political and intellectual spectrum. We will use quality informative material in Jewish media and intellectual circles to lobby Knesset members and Ministers, politicians, decision-makers, key activists and others. Our campaign will activate institutions and volunteers, banner teams, work camps for field activists, archeological digs at the dumpsite of the Temple Mount excavations in the Kidron Valley, to compile a registry of names of people demanding open access to the Temple Mount. Educational programs will be promoted in all tracks of the Israeli school system in collaboration with the Ministry of Education and we will create special activities for various Israel youth movements. We will affirm the sanctity of the ancient Temple grounds. People of good will to support Open Access to one of the World's holiest places. Submitting to terror and procrastination eventually will result in loss of Israeli sovereignty over Har-Habayit, central Jerusalem and its environs. Time is working against us. With the passage of time, the present situation at the Temple Mount is becoming entrenched. We must act decisively. You are invited to join the Coalition for Open Access to the Temple Mount. Please help by contributing financial resources to the tax exempt (pending) Coalition, your precious time, influence, creative imagination and energies to open the Temple Mount now.